Ants are interesting creatures with two stomachs and three eyes, and they can lift up to 20x their body weight. Now you can observe them in space-age habitats that look like aquariums. 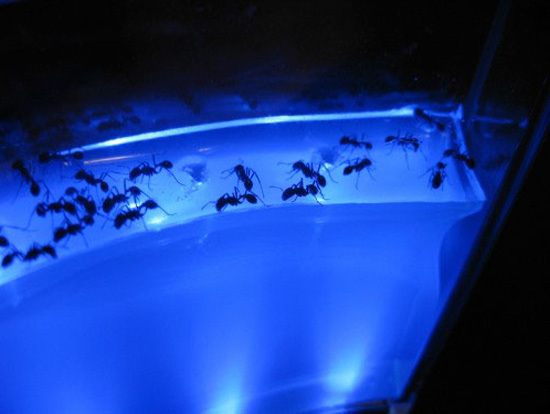 The habitat is filled with miraculous gel from a NASA Space experiment, that is serving as nutrition for the ants. 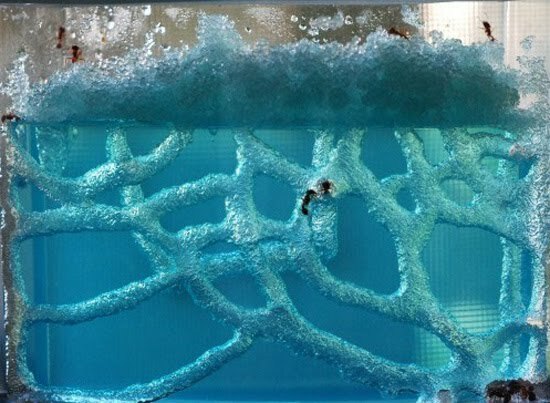 The funniest thing about having an ant habitat is that you can watch how the ants turn a brick of aqua-blue gel into a fascinating colony of tunnels. They are capable of doing this because they have special communication skills and amazing abilities to work together to achieve a common goal. This is not a NASA experiment. It is a child’s toy, albeit a very cool one. Please don’t mislabel for sensationalism. It was a NASA project, but is now commercially available as a child’s toy. 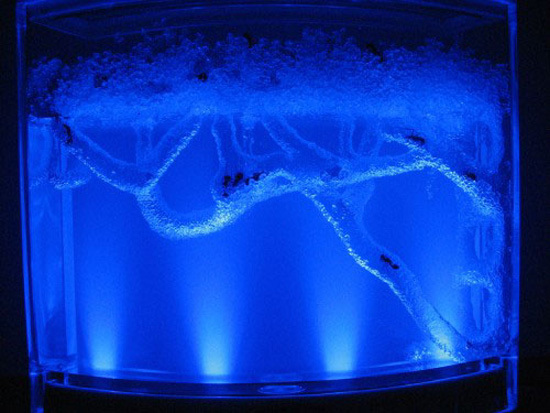 The gel ant farms have been available for years, this is nothing new. 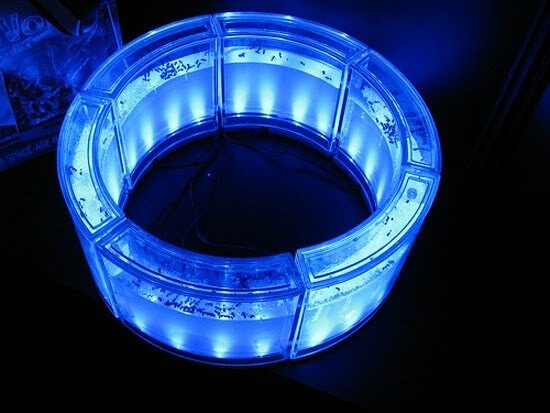 A while ago, NASA made a version of these to see how ants would tunnel in zero-g, it looks cool so they sold the rights to it and someone made a child’s toy. Either way really cool. 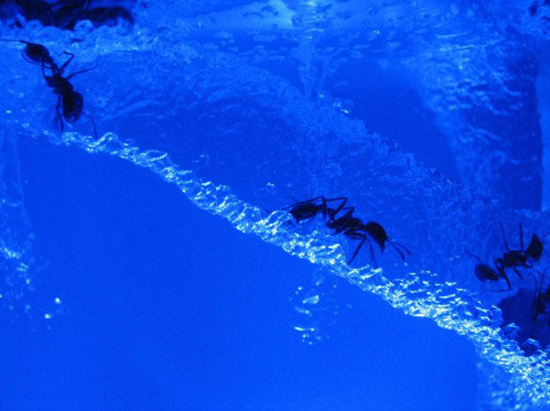 Years ago secret NASA experiments involving ants went horribly wrong. The ants became self-aware and developed consciousness beyond our wildest expectations. 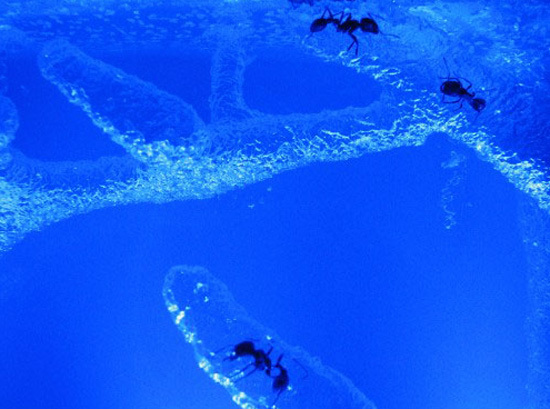 The ants developed a gel that would serve as both sustenance and habitat. 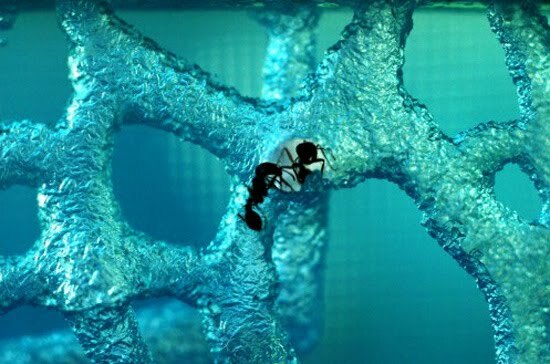 Today the gel is commercially available because the ants have discovered how to mass produce it and sell it to the general public. Also it’s radioactive and horribly toxic to human beings, so don’t let your children eat it. Do any of y’all ever stumbleupon something and like it not for the article, but for the commments? Unleash the mandibles of WAR! The ants don’t live long…they don’t have long life expectancies anyway…so they live as long as they would have otherwise, and without a queen producing more ants…the ‘colony’ in the gel goes off. You can then add more ants, but the same thing will happen and the gel isn’t really designed to sustain more than a couple of times with the ants. You’ll get about 10-14 days out of the ants. The gel provides all their food/water needs while they’re alive. hahaha…I’m gellin like a space Magellan.. 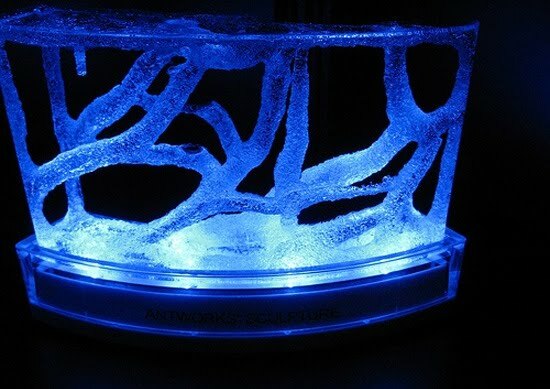 It looks very nice but the ants but this is a TERRIBLE way to keep ants, in a proper ant farm individual ants can live from months to years, in this gel they de much quicker and their bodies become stuck in the gel and rot. Also it cannot sustain a queen in the long term so you could not keep a colony. 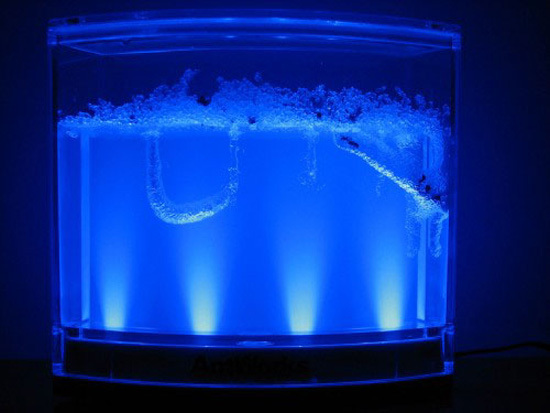 Only a few certain types of ants will even burrow into this gel. 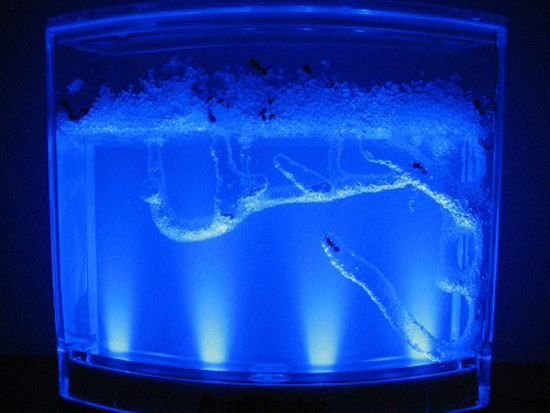 Basically this gel was designed as an environment to observe individual ants over a short time. Something which can be accomplished easily on a long term basis and less cruelly in a Y-tong ant-farm. Speaking from experience, if the ants colelcted and put into the ant farm are from different hives they will fight to the death. I made this mistake with my 2nd grade class one year when I decided to be cheap and have the class collect the ants from the ant farm instead of order them. Let me tell you, it was NOT a pretty sight. The carcasses were everwhere! One ant was larger than all the others and he totally slaughtered the whole bunch. The others put up a valiant fight, but theirs was just not enough. They were doomed. Just thought I’d give you a heads up!NataliePS. Some of my more sensitive students were completely traumatized. 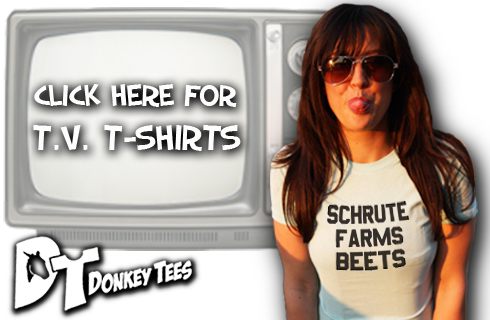 Give Joey’s death fascination you might not want to let him watch the show!